Three times a year, the Cat Grooming School holds an open day and cat grooming taster session, so you can come and visit us and learn what the cat grooming business is all about. Whatever your background, you might find cat grooming is the perfect hobby for you, or maybe this could be the start of a great new business venture? Perhaps you would like some handy part-time work? Do you own a cattery and would like to start including cat grooming to your business skills? Are you a dog groomer and want to tap into this new and exciting area? 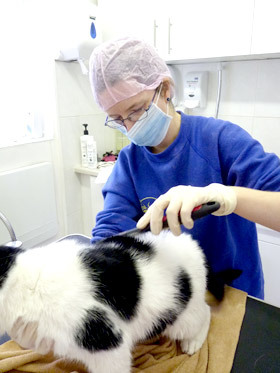 Our open days will give you full access and insight into the cat grooming business. Our friendly professional staff and tutors will provide a lecture, answer your questions, and give you a cat grooming demonstration so you can see the skill first hand.